The White Nights Conference that will take place in Moscow in mid-October is to host the fifth championship of game projects made by independent studios – Indie Game Cup. We talked with Julia Lebedeva, chief organizer of the White Nights and Head of Development at Nevosoft, on the history, aim and preliminary results of this contest. Hi Julia! So, we’re holding the fifth Indie Game Cup. The first time was back in summer 2015. Now we can sum up what we’ve achieved throughout this year, but I would like to begin with something else. Let’s reveal to our readers why the best game project contest was called a championship. That’s one amusing story to tell. Obviously, we wanted a name that had never been used before and that would imply several ideas at the same time. It is a contest for game developers who have not become industry giants (yet). We wanted it to be dynamic, and I also thought what kind of awards the winners would receive. At some point, I came up with the word “cup” – championship in our context. It is directly associated with sports in general and racing in particular, which meant I had found the dynamic I had searched for. Moreover, we could grant not glass trophies, like at White Nights Awards, but real large awesome cups. Finally, I googled the name “Indie Game Cup” and found that no one had used it before. Bingo! The name proved to be great – I know that at least two other organizations have taken it for themselves. I noticed long ago that if someone comes up with a nice idea, it will eventually be cloned multiple times in different ways. The same applies to game industry. It is a mark of success, a sign that work on the project has to go on. The word “indie” is in the name of the contest not just for the sake of appearance. On the other hand, today it is interpreted quite widely. Let’s make it clear whom we consider indie and why we only reward them, leaving aside other decent projects and teams. We call “indie” small teams (no more than 15 people) that generally invest their own money in their projects and make independent decisions. I respect them, especially those guys who don’t quit after first failures. I myself have not created the simplest game, though I could give lectures on the theory of game development. But in practice, it requires more than understanding of basic laws to develop a game – it also takes bravery and a lot of time and effort. And if our judges name some project the best one, it really means a lot, and that game becomes an example for other indie studios. I don’t think that it is easier for a large company with experienced staff to make a hit – in fact, it is equally hard for anyone, although having more resources at one’s disposal always helps. I understand why game developers take part in activities like this one. Both on mobile platforms and on Steam, thousands of projects are released, and appreciation from colleagues can attract the attention of publishers who are not always able to assess the game’s potential at first glance. But why do conferences need such events? This contest is part of our support program for game developers. You may remember that it began with a tournament with $30000 cash prize. By the way, one of the winners predictably was Mail.ru. It was after that when we decided to put “indie” in the name of the contest so that small teams wouldn’t compete with corporations. Their arena will be market itself when their games are released, while our goal is to help some really good games stand out and developers believe in themselves. We also allocate 500 square meters of space for game developers to take use of for free. In my point of view, this is a fantastic opportunity for them to show their projects to relevant persons from the game industry. How can somebody participate in your contest? How much does it cost and how contestants are selected? Participation is completely free of charge. To apply, you have to fill out a form with information about your game – a video, build or reference. We accept playable versions from beta and further. You can even submit a project that has been released no earlier than 6 months before, or a soft launch project. The primary selection takes place at our office at Nevosoft; it usually spans a whole weekend. Generally, from 10 to 20 games make it to the judge board’s assessment. Judges evaluate games independently, and then we sum up the results. As a rule, winners are revealed to us only a few days before the start of the conference. Who else will judge aside from two of us and Nevosoft’s game designers? We will certainly have on board Maxim Babichev, Developer Advocate at VK.com, Andrey Ivashentsev, Chief Innovation Officer at Game Insigt, Natalya Zhuravleva, Senior Business Development Manager at NetEase, Mike Hines, Developer Evangelist at Amazon, Oleg Pridiuk, Evangelist at King, and Alexey Savchenko, Licensing Manager at Epic Games. I noticed that as of late, gaming related events have tended to feature a whole lot of nominations (ours included). For example, at the White Nights in summer, there were seven winners. I bet people have a trouble remembering who was awarded for what. Don’t you think that a large number of awards diminishes their value? And if yes, is it why there will again be four prizes at the White Nights in fall? Those who have forgotten about the winners of the last time can look it up at our site. The thing is, we always want to try out new formats. Back in summer, there was one nomination per each sponsor of the cup, that’s why there were so many of them. But in the end, it boiled down to the situation when only one person decided who would win. I think that numbers tell the truth, and evaluations made by judges are unbiased. This is why in Moscow, we will bring back three basic nominations (best game design, best art, best story) plus The Grand Prix. Now is the time for conclusions. The White Nights Grand Prix has been won four times. So, how many projects have participated in total, and how many prizes have been issued? Is there still time to apply? Well, officially, no, but we are ready to wait a couple of days. Application for the developer exhibitions is also very soon to be closed! You can apply to both Indie Game Cup and the exhibition by submitting a form here. By the way, in Moscow there’s going to be Deconstruction Workshop where we will analyze games presented at the exhibition. The deconstruction will take place on the second day of the event so that the guests can familiarize themselves with projects beforehand. 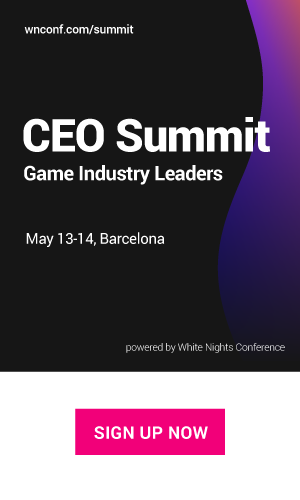 Experts will explain why some games are more successful than others in terms of gameplay, design, monetization, etc. Many of our visitors were impressed by this format in summer; we will further develop it so that more game designers can get professional feedback and improve their efficiency. At the end of the day, this is our primary mission!